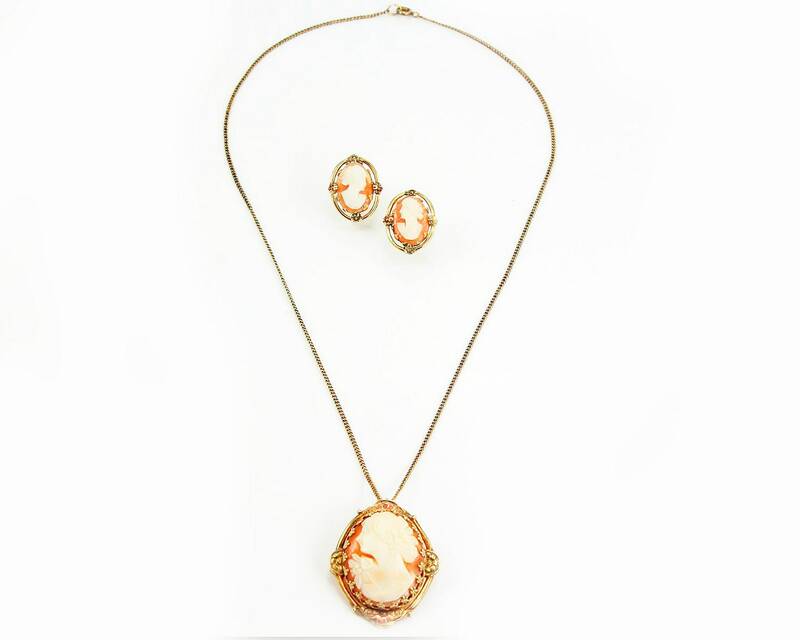 Vintage Hand Carved Cameo Pendant and Earring Set in 12K Yellow and Rose Gold Filled by Florentine. 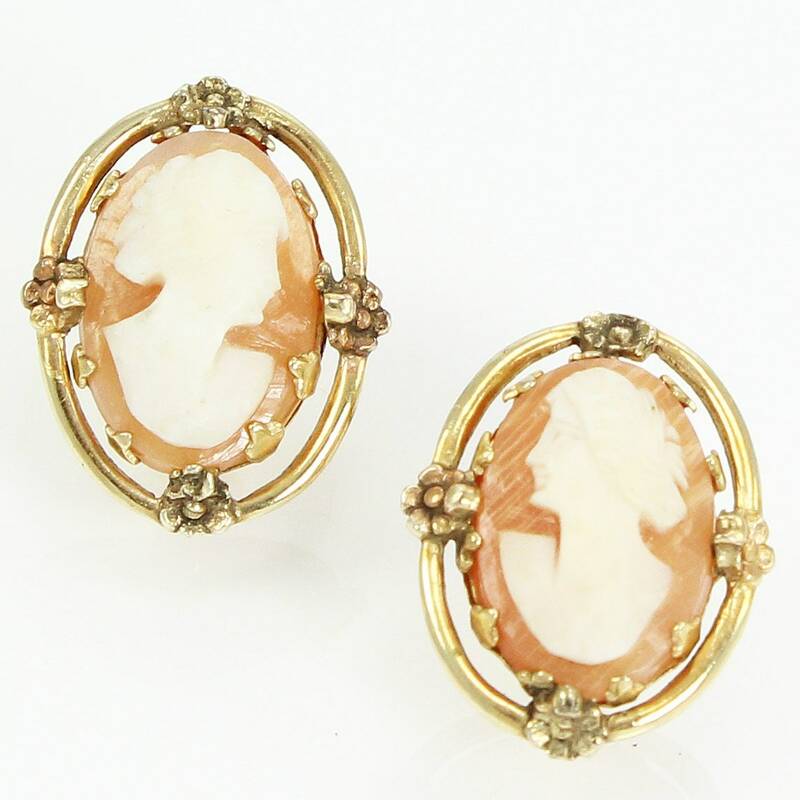 This lovely suite of cameos is set in 12K gold filled in both rose and yellow with filigree and floral accents. 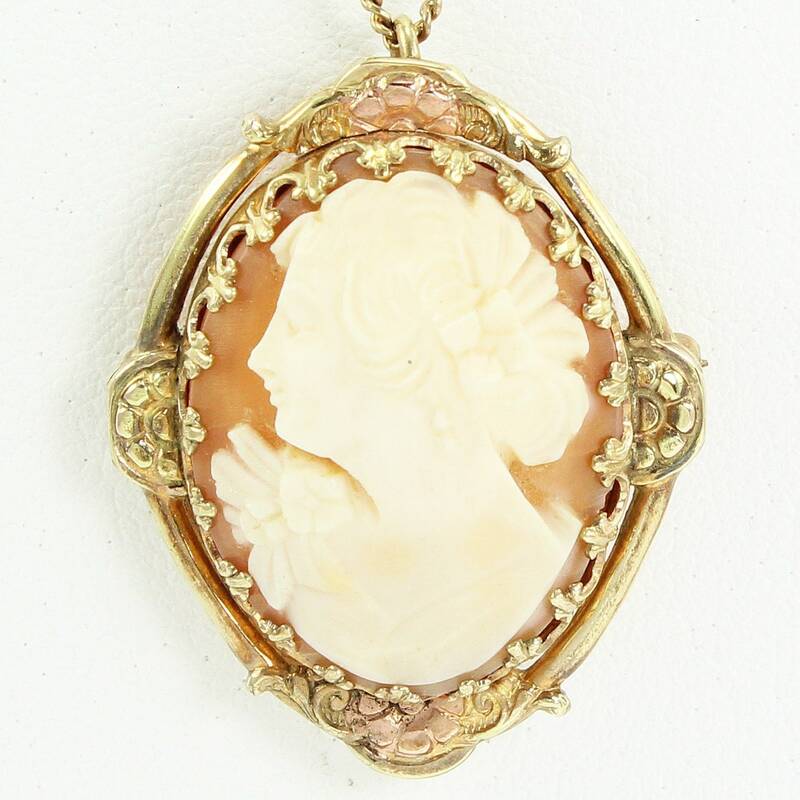 All the cameos are hand carved of shell and feature ladies with up-dos. 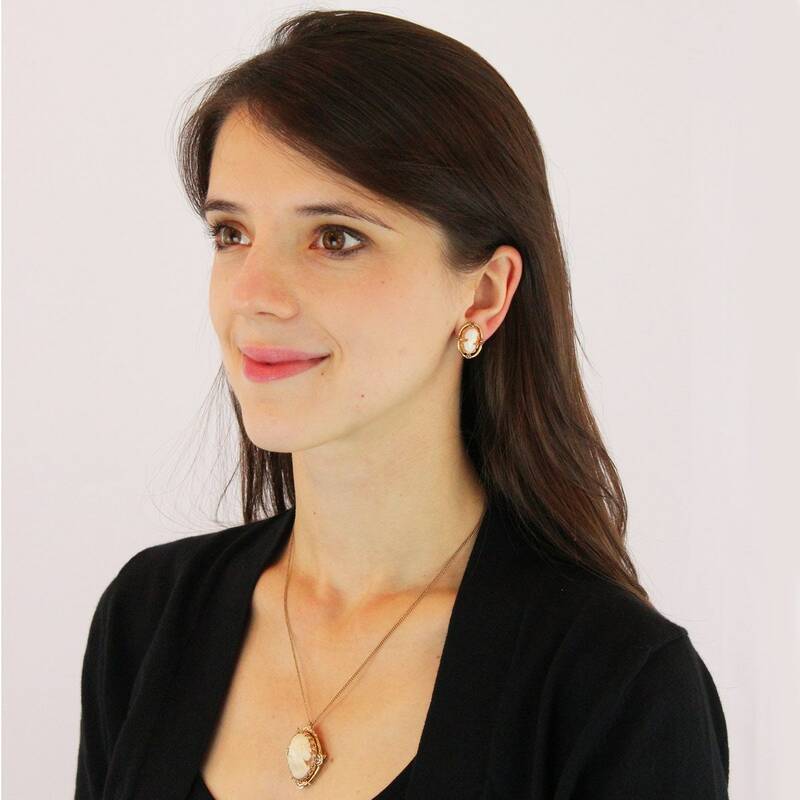 The earrings have screw posts, designed for non-pierced ears. 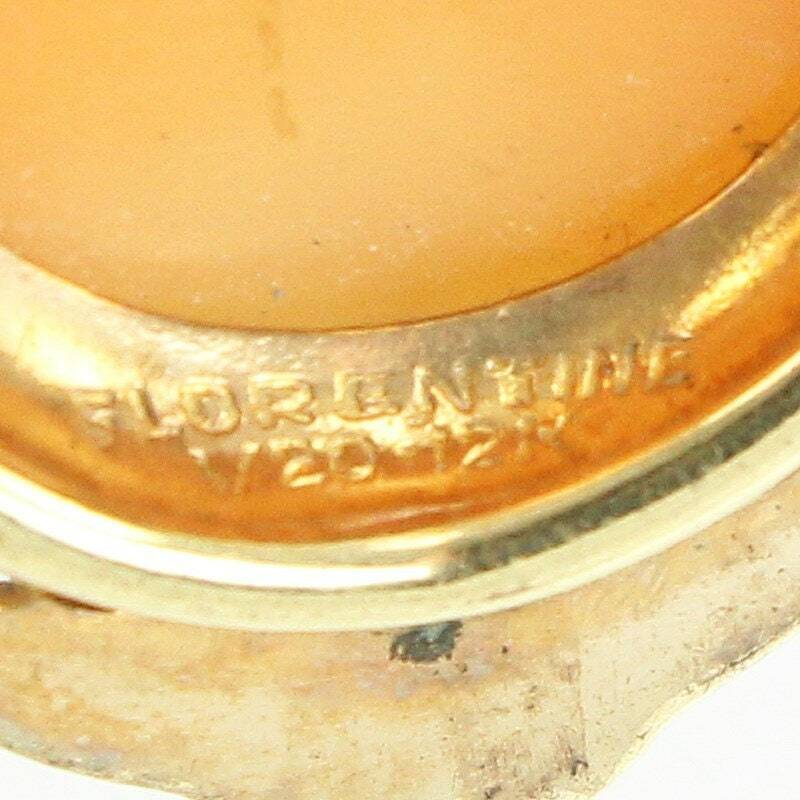 HALLMARK/HISTORY: Stamped FLORENTINE 1/20 12K on reverse of pendant and stamped 1/20 12K GOLD-FILLED on reverse of earring posts. 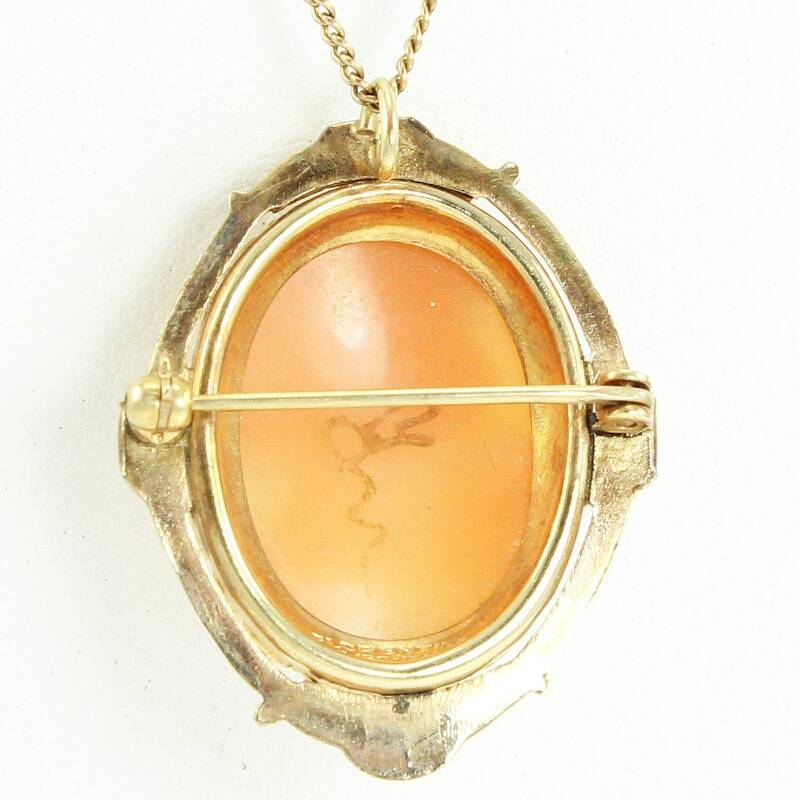 MEASUREMENTS: Necklace is 17.75" long, Pendant/Brooch is 1.38" long by 1.06" wide. 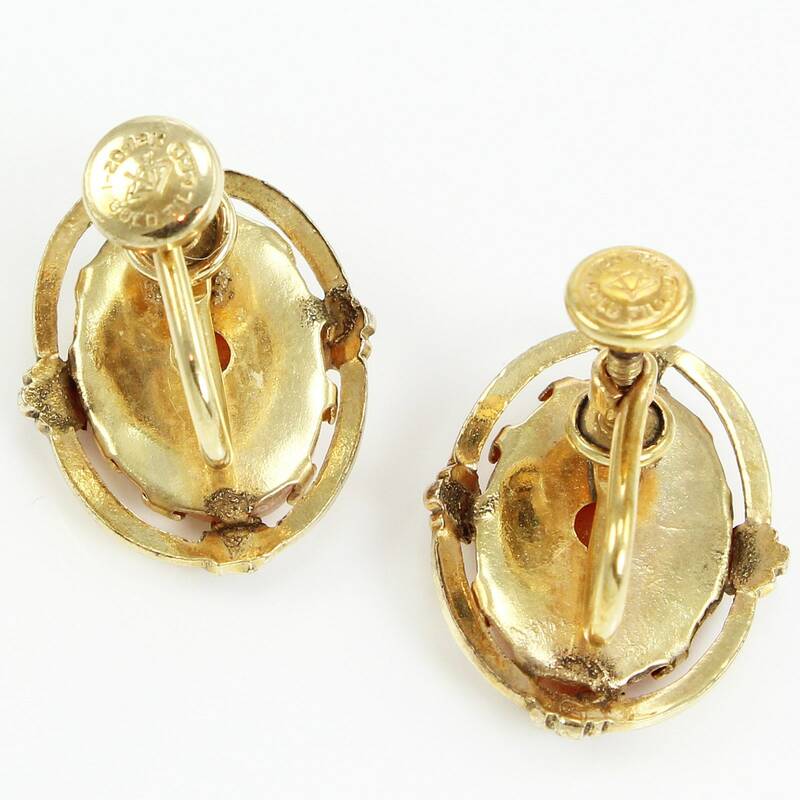 Earrings measure 0.75" long by 0.63" wide. CONDITION: In very good vintage condition.